Well, let’s see. We are in the process of a kitchen remodel. It should have been finished weeks ago but as always, something got back ordered. 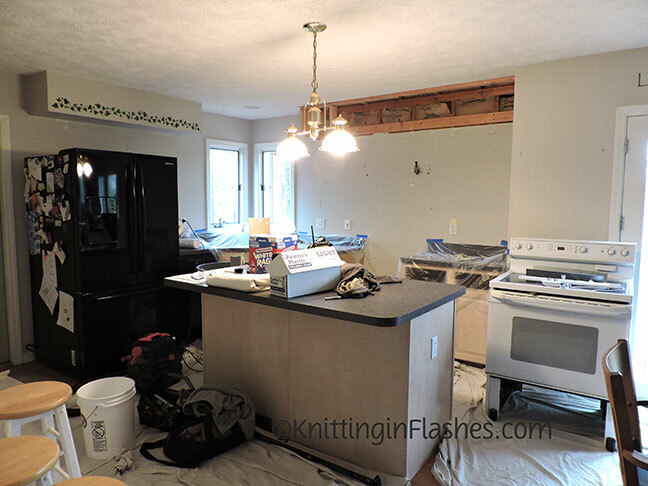 The old counter top was cobbled together so we could use our kitchen until the new one arrives. …and still during but making progress. 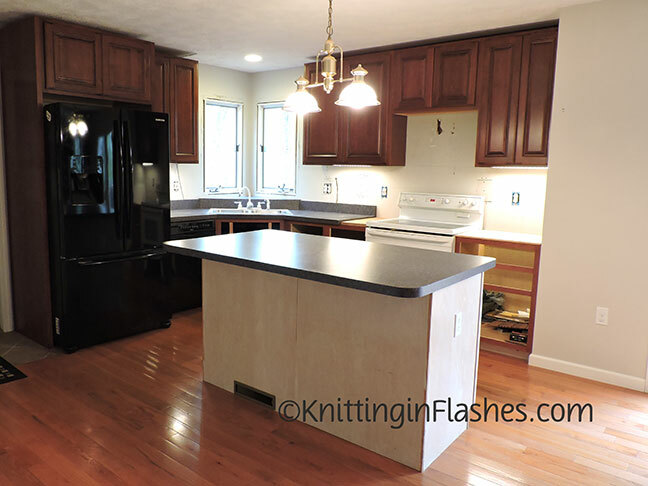 The island has been refaced and the range and microwave replaced. Next up: new counter tops, sink/faucet, crown molding and back splash. The entire remodel sparked a cleaning and decluttering frenzy in our house so some of my other projects took a back seat to cleaning, painting and general chaos. I’m also recovering from a bout of pneumonia. 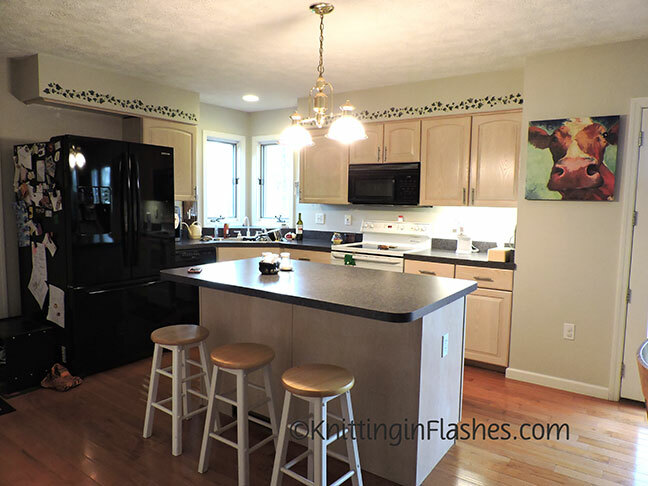 This entry was posted in cleaning, declutter, decorating and tagged cleaning, declutter, decorating, kitchen, painting by Patti_is_knittinginflashes. Bookmark the permalink. It’s looking really good. I love the corner sink with the windows. wow – lots going on! the new kitchen looks great, and probably all the other projects do as well. Hope you are feeling better, Pneumonia can kick you hard. Very nice!! Here’s hoping I can visit and see it in person. Minus the pneumonia, please.